Nikki Olive (‘18 MBA) knows Topsail Island as the spot of family vacations at her parents’ beach house. When Hurricane Florence threatened the island, Olive, Campbell’s Director of Alumni Engagement, knew that she had to act. 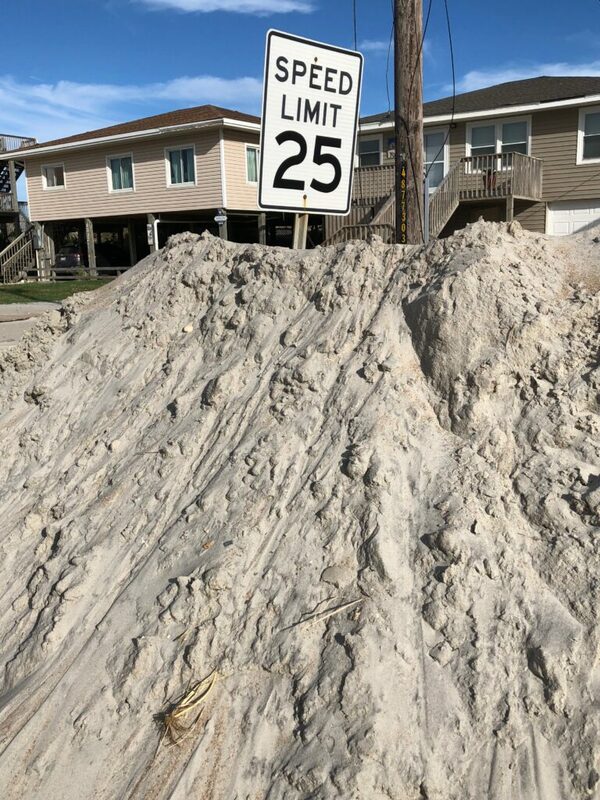 She drove to Topsail on Friday the 21st, but was met with an unusual challenge in even setting foot on the island. “I rode with my sister because she has a Topsail address,” she explained. “You had to show proof of address to get onto the island. 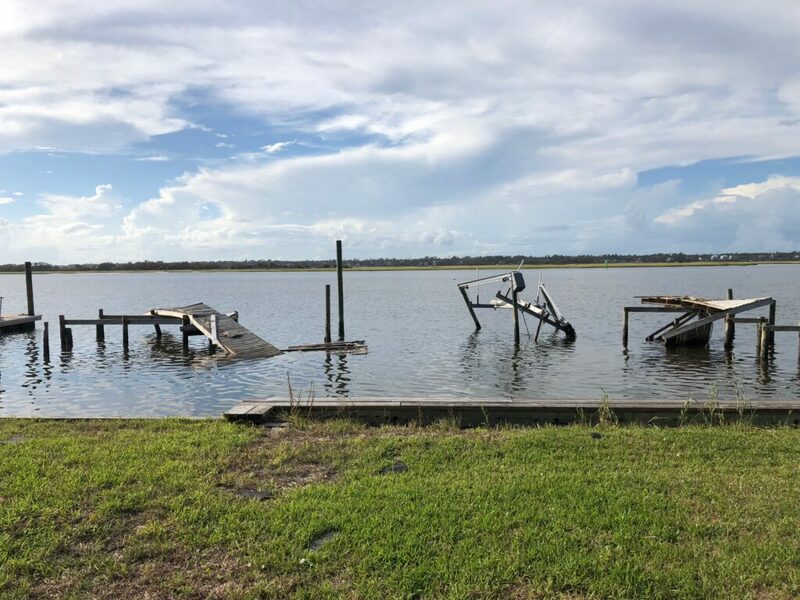 Only homeowners were allowed on.” Instead of waiting until people were allowed onto the island, Olive began recovery efforts elsewhere in the state even before she was allowed to see her parents’ home. “ I also donated all of my hurricane supplies to one of my local companies that was loading trucks on September 18 to deliver to the New Bern area and shelters. They filled an entire stock room just from extra supplies that everyone had left over. That was the easiest way to send support immediately. People can just scan their homes to see what they haven’t opened that can be donated,” she said. Since non-residents were not allowed to assist with cleanup for days, there is still much progress to be made. Many homeowners are still in shock, including elderly residents whose homes suffered damage. Cleaning crews are still assessing the damage and beginning their work. Olive and her family knew that something needed to be done while they waited for the crews to put the island back to normal. They rolled up their sleeves and went out into the community to investigate, asking people they encountered what they needed and how they could help. “The houses were either perfectly fine or completely uninhabitable,” she said. The island is open to the public now and cleaning crews are now expected to assist with the aftermath of Florence. 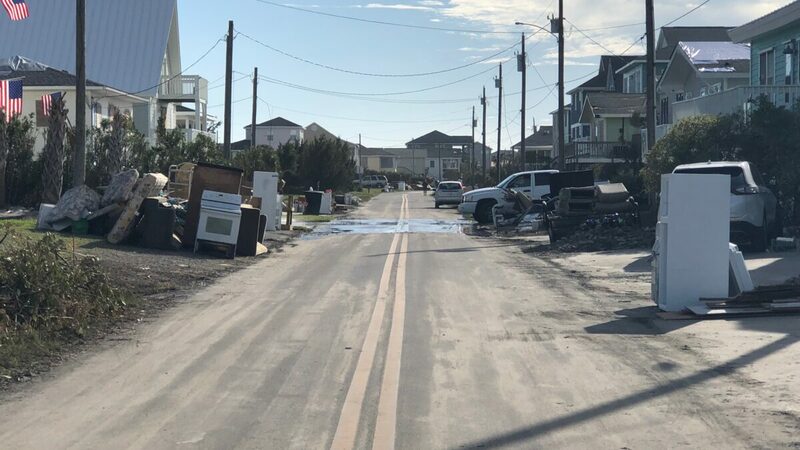 Olive will return over the next several weeks to continue with the efforts of helping one small coastal town recover. For more information on Campbell University’s Hurricane Florence relief efforts visit campbell.edu/storm-relief.